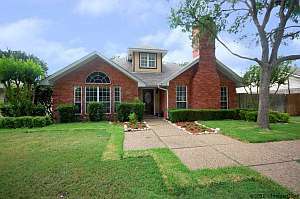 Plano TX Home For Sale – Former model in the heart of Plano is ready for move in. Main living area has stained concrete floor and wet bar. Kitchen is updated with stainless steel appliances and modern sink, and looks out to the backyard with large covered porch. The private study has bamboo flooring and wall of bookshelves. The master bath has been updated with a large frameless shower and the walk in closet has built ins. Second living area is perfect for a game room. See all Homes For Sale in Hunters Ridge, Plano, TX. 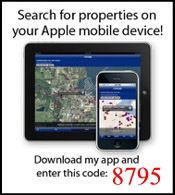 « Having Trouble Selling Your House? Consider Leasing.